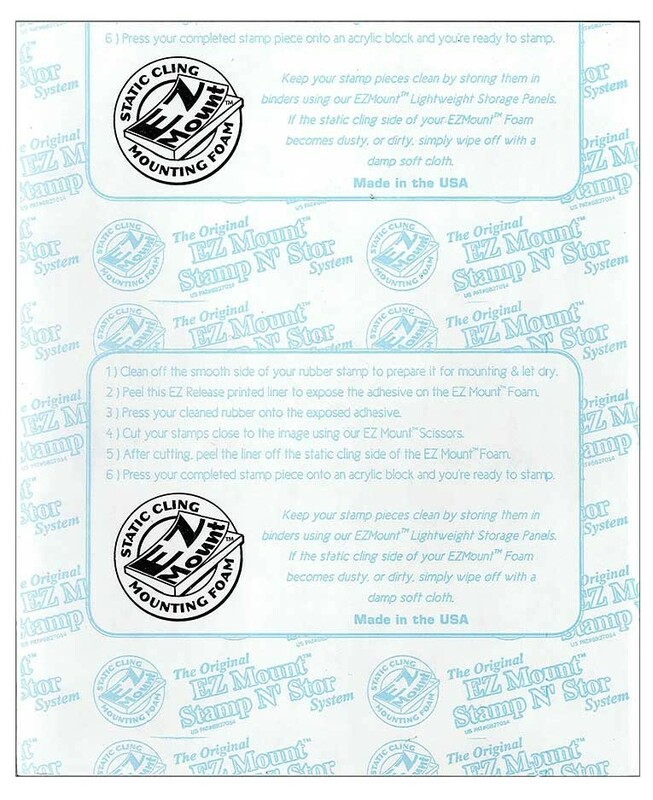 This premium static cling mounting cushion is used to mount your rubber stamp sheets so that they can be used with acrylic blocks. One side has adhesive for permanently mounting your rubber sheet and the other has a static cling coating that bonds temporarily to an acrylic block for use. EZMount is the perfect choice for those who want to save room in storing their stamps. Remove your old wood mounted stamps and apply EZMount to the backs to transform your old, hard to find collections into a slimmer, easy to find solution! 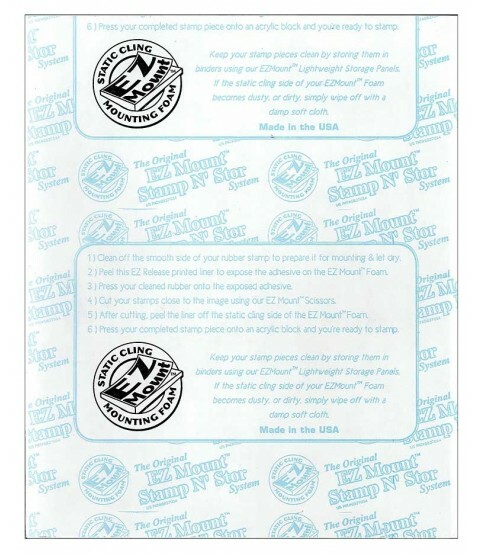 EZ Mount sheet measures 8 1/2" x 11" by 1/8" thick.